Email – what is it good for? Since the mid-1990’s, email has been the communication tool of choice for Business to Business interaction. It is estimated that there are over 4.6 billion email accounts worldwide, and over 200 billion emails sent every day. Many business users have grown up with email, yet the younger workforce (Millennials) have grown up in an environment where there are many alternative forms of communication (WhatsApp, Facebook Messenger, Snapchat), which could be considered as better. An email address to them is an online ID used to register on other websites. Email is still Market Dojo’s largest competitor, chosen as the weapon of choice by procurement professionals to collect and manage information and pricing from suppliers. There are some advantages to email; it’s free and easy enough to use, yet is it fit for purpose as a means of running tenders? I recently spoke to a Head of Procurement about email who described it as “the worse communication tool a buyer could use”. I’m biased, yet would tend to agree, and I would argue that email is failing as a means for some of the much larger tasks it is used for. So should it be used for running your sourcing events at all? Let’s take a look at some of the other purposes of email. The open rate on B2B Marketing emails is 1.7%. That’s just the open rate! The reply rate and conversion rate to these emails will be even lower. Often marketing campaigns will lead to no revenue generation at all. Many B2B marketing emails are a means to an end, and part of a much larger sales process aimed to disseminate information to a wide audience. This allows sales reps to prioritise and target their time in chasing leads by tracking data such as who’s opened, who’s clicked the link, etc. Hopefully, the majority of this audience will work within procurement, and probably receive a countless number of these emails every day. I’ll hazard a guess that the large majority of these emails that you receive, you delete before even opening. I’d even go so far as to suggest that using email for this objective, and on such a scale, has undermined the use, and effectiveness of emails for other, more suitable purposes. A common, and very valid, use of email is for documenting and disseminating meeting minutes, notes and actions. Emails are great due to the audit trail that they offer, e.g. I have asked you to do this action, by this date, and it is documented. Yet, how many of you can say that you both read, and act upon the actions of every email that is sent to you for this purpose? In fact, how many emails do you have in your Inbox which are unread at this very moment (this also includes those which you have “marked as unread” without reading)? The point is, even for purposes where email should be effective, it is failing. So what about using emails for running tenders, or collecting quotes? The first thing to point out is that you have a massive advantage when you send an email to a prospective supplier, because there is the potential for new revenue to the supplier, so they’ll more than likely reply. I would imagine that response rates to your emails to suppliers would be above the 90% region. 3. Managing your inbox and saving all of the documentation. 4. Making sure all of the team are using the shared folder in the correct way. 6. How long will it take to search through all of their emails to find the specific email with the pricing, or a record of that conversation with a supplier? 7. The headaches above will limit the number of suppliers you invite, as you don’t have the time to do it for a large number of suppliers. 8. What happens when you look to negotiate that category when it’s time to renegotiate the contract, where is all of that pricing, supplier information, specification, etc saved? 9. How will I know and track when their insurance certificate expires? How can Market Dojo help? The short answer is it eradicates all of the potential issues above. How? 1. Supplier responses come through in a consistent format, creating huge time efficiencies. 2. All of the documentation is saved in a central format, so you don’t even need to use shared folders. 3. You’ll have a complete centralised repository of all your events, indefinitely. You’ll be able to see which suppliers were invited, how did they reply, what pricing did they give, what messages were sent. 4. Invite more suppliers with no additional overhead, which should ultimately result in you getting better value. 5. Increase the visibility and value of procurement by granting stakeholders access to your events. 6. Track expiry of key information deadlines with automatic notifications. What about low value spend? Market Dojo has also launched a new product called Quick Quotes. This is aimed at targeting the use of email for lower value, more operational purchases. 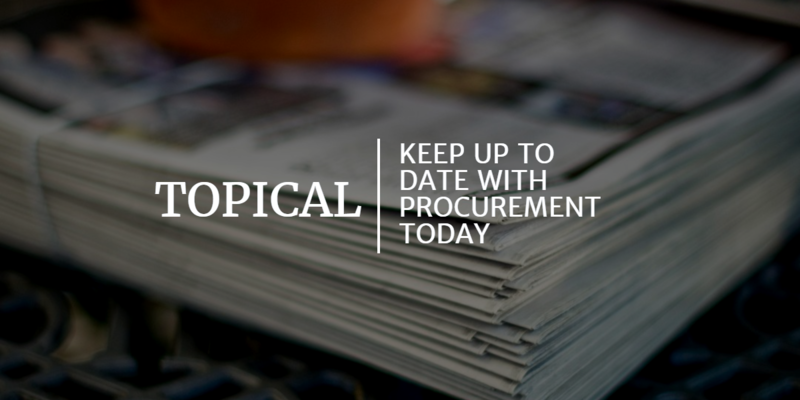 Typically where procurement do not get involved because of the value, but tail spend can account for many millions within large organisations. Quick Quotes acts as a centralised quotation portal for organisations and offers greater visibility for procurement to help increased compliance and get a handle on tail spend. In addition to getting all of the benefits listed above, users are guided through the process, releasing quotes just as quickly as sending an email, with guidance from procurement.